IT world Gold and Silicon Rush – What is in Common? Since the days of a Gold Rush a little has changed in the rating of high-risk enterprises by the man. A half century later, still in the same California is the Silicon Rush epicenter. 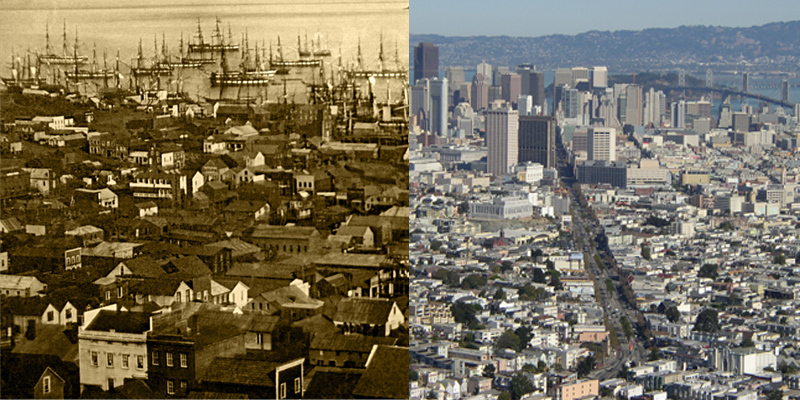 Here are in the photo San Francisco in XIX century and today.